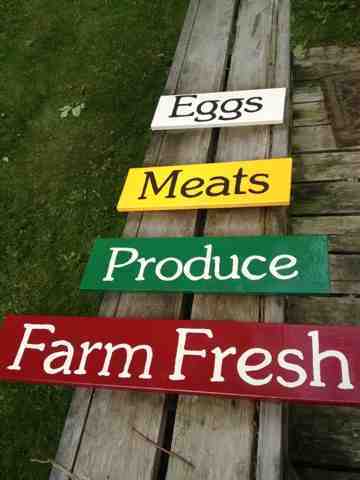 girl.meets.farm: Market Sign is almost done! Market Sign is almost done! This has been the longest project ever - but I am really happy with the results. I just finished putting a coat of clear varnish on them to seal them and give some UV protection. I used a spray can varnish simply because it's easy and there is less clean up! 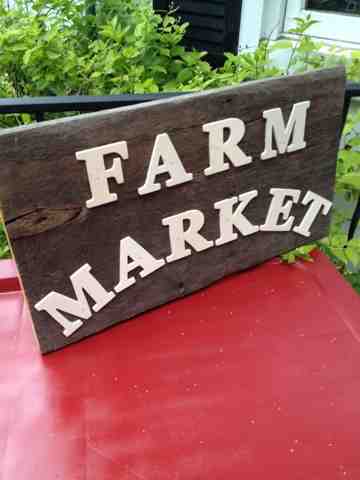 I used a piece of old barn board, and wooden letters that I got at Wallymart. They were only $1.00 a letter! So this was a cheap sign to make. 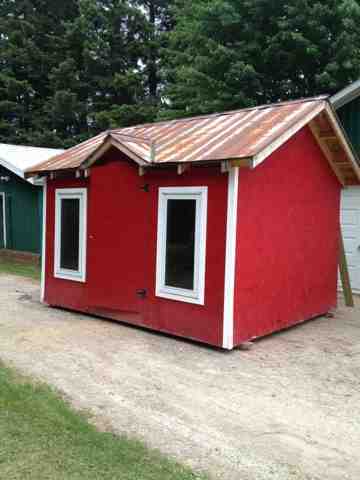 The store is coming along...here is a sneak peak. It's still got some finishing touches before its done.